Updated Jan. 14, 2019 1:44 p.m. I sat down for an interview with one of our student coders, Briana Oakley, who is a singer-songwriter from East Bay, California. We talked about her love of music, her close relationship with her mother, her experience on American Idol, and the inspiration behind her recently released album, Stars. When did you first discover your passion and talent for music? I have always loved music and ever since I could remember, I loved to sing. As a kid, people ask you what you want to be when you grow up and those answers are expected to change as you get older but for me, it never did. I always knew I wanted to be a singer even before I knew it was a legitimate career. My mom tells me I was always singing and it didn’t matter where or when. I would just sing everywhere (and loudly). How has your mother influenced your pursuit of music and inspired you in other areas of your life? I suppose my love for music began before I was born. My mother used to listen to all kinds of music and sing to me when she was pregnant with me. I guess it’s where I got my eclectic taste in music. I really don’t have a favorite genre, it’s whatever speaks to me. My mother is the most loving, kindest, and strongest person I know. She has made so many sacrifices and a lifetime wouldn’t be enough to express how much I appreciate what she’s done for me. She came from extremely humble beginnings and she continues to work hard to ensure that I have all that I need. She’s the reason I’m able to strive for such a great education and she wholeheartedly loves and supports my every endeavor. Being a first-generation student has its fair share of difficulties and learning curves but my mom made sure I had all the resources I could ever imagine so that I didn’t feel alone in the process. With all that she’s done, it truly has not been easy with her being a single mother. I never knew the struggles she dealt with and she made sure of that. I love my mom, she is my best friend, she is my everything and I aspire to be more and more like her every day. Briana with her mother, Nelly. What pushed you to audition for American Idol and how was the experience for you overall? I auditioned for American Idol because of my love of music and singing. I had hoped that I could be successful doing what I love so that I could give back. Namely, so that I could give my mother the life that she deserves. I ended up making it to the top 20 finalists. This will sound cheesy, but music is just a part of me. Giving up on music would be like giving up on myself and I refuse to do that. Rejection is a part of life and no matter how many “no’s” I get, I’ll always hold out for that “yes” because I believe in myself to make my dream come to fruition. You shouldn’t take a rejection as an overarching sign that you shouldn’t pursue it because there are just so many factors. Learning how to let go of the factors I can’t control and knowing I’ve done everything I possibly could was a big concept for me to grasp over the years. I’ve always been incredibly tenacious so I will never give up. Being on American Idol and going through the process gave me a bird’s eye view to the inner workings regarding being on television production sets, rehearsals and all of the behind the scenes work that’s done. I met so many incredibly nice and talented people. It was definitely a learning experience. Since being on the show, I’ve continued to work on my music and have continued to write. You recently released your album. Tell me more about the inspiration behind it and what the experience creating it was like. I just released my very first EP with songs that I wrote when I was fifteen years old. I figured it was befitting for my first EP. These were some of the very first songs I had ever written and it was an amazing experience to finally record them. As an artist, exposing some of the most vulnerable parts of yourself and infusing that into your work is essential. At first, it was definitely hard to wrap my head around the idea that these songs I had written for me and that had never been heard by even my closest friends, would finally be available for everyone to hear. But now that they are out, I cannot wait to release more and be able to hear the evolution in my songwriting as I’ve grown older. What comes next in your journey, be it with school or your career? I’m so excited to graduate USC especially as a first-generation college student and I’m ecstatic to continue pursuing music! I write all the time so I will set out to record and release more of my songs in the future! The ultimate goal is to make a living doing what I love. I’ve always wanted to create something that stands the test of time and that transcends generations. I hope to have my music evolve to the point where I can successfully do that. What can you draw from your research in the Lab and apply to your career as a musician? It has been an absolute privilege to participate and conduct research for Dr. Stacy L. Smith and the Annenberg Inclusion Initiative! I believe wholeheartedly in its goal to highlight the disparities in representation or lack thereof in Hollywood. As an artist, it was incredibly unique to do data collection on representation and I’ve learned so much more about the industry as a whole. There is so much work to be done but I’m grateful to be apart of what feels like a long overdue and massive shift in an industry I aspire to be a part of. Thank you to Briana Oakley for contributing to this interview and for providing all of the photos. You may find Briana on Instagram and Twitter. 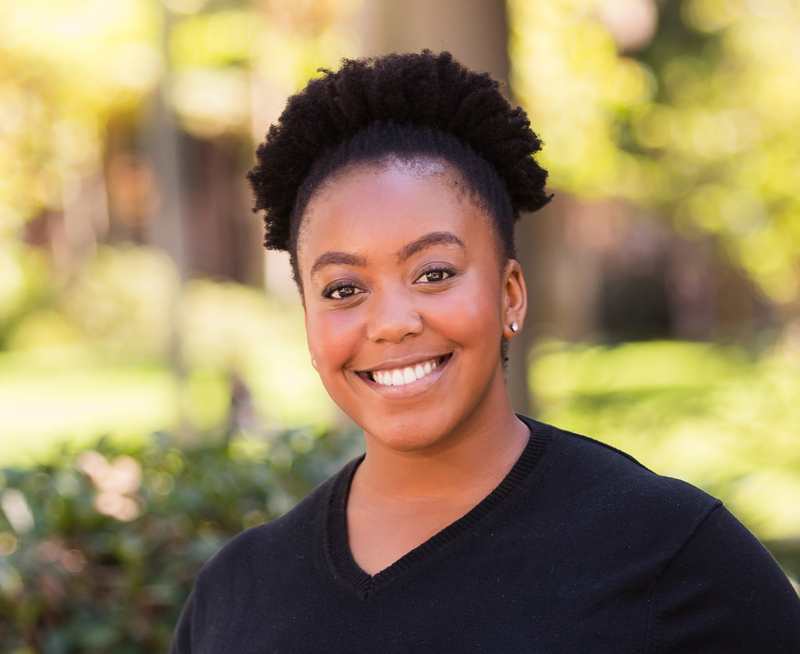 Adaeze is the Will & Jada Smith Family Foundation Junior Fellow for the Annenberg Inclusion Initiative.